In a food processor, puree the mayonnaise with the chipotle until smooth. Season with salt and pepper. In a large nonstick skillet, heat the oil. Cook the hot dogs over moderate heat until lightly browned, 4 minutes. 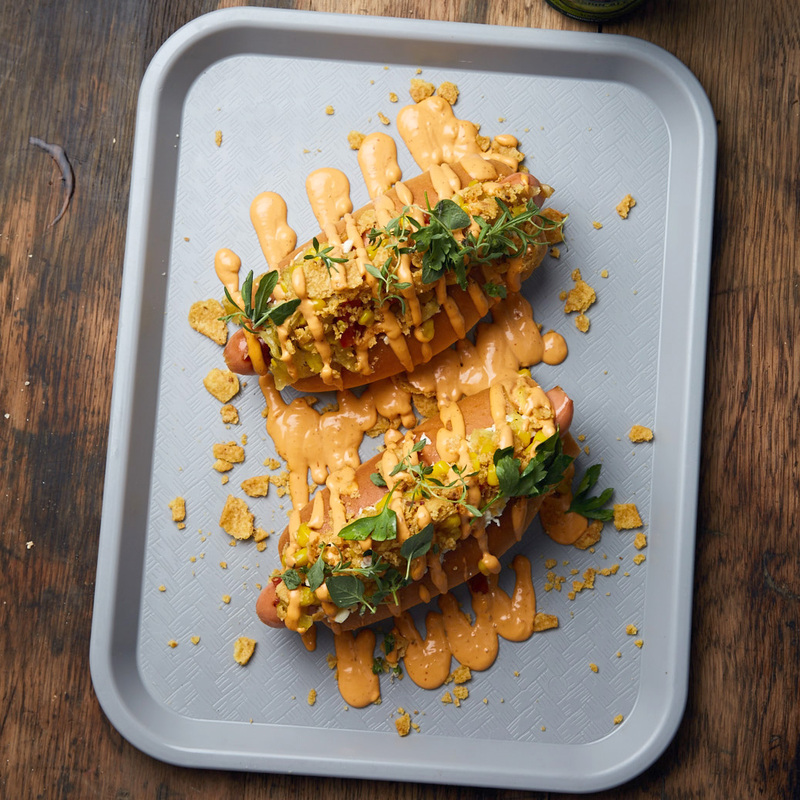 Spread the mayo on the buns and top with the hot dogs, cheese curds, piccalilli, corn chips and herbs; serve. The chipotle mayonnaise can be refrigerated for up to 1 week.